The Blessed Virgin Mary is known and venerated by countless names and titles throughout the world. Some of these titles are dogmatic; some are literary; and some are the result of popular piety. Through these titles, we learn about Mary’s life, legacy, and loving care for God’s people; we learn about our Lord Jesus Christ; and we learn something about ourselves and God’s Holy Church. Whether we think of her as Theotokos (Mother of God), Panagia (Mother of Mercy), or as Our Lady of Good Voyage, Mary lives in our hearts and in the Church as the Blessed Mother of All Peoples. In this spirit and in celebration of the various devotions to Our Lady during the month of May, all are invited to join Father Jim and Cliff Garvey for a “Spring Day of Prayer & Reflection: Mary, Mother of All Peoples” on Saturday, May 4th in Our Lady of Good Voyage Church (located at 142 Prospect Street in Gloucester, Massachusetts). During this four-hour morning retreat, we will explore the Blessed Mother’s loving intercession and protection of God’s family across the centuries. We will also consider how our devotion to Mary can help us overcome the growing darkness of bigotry, hatred, and division that seems so prevalent in our own time. In case of inclement weather, please check our website for possible cancellations and schedule changes. For more information about the Assisi Project and its good work in our parishes, please contact Cliff Garvey at cgarvey@ccgronline.com. Please join us! All are invited! All are welcome! Saint Francis of Assisi, pray for us! Saint Clare of Assisi, pray for us! Our Lady of Angels, pray for us! May the Lord give you peace! Each year, the Catholic Community of Gloucester & Rockport offers a full schedule of adult faith formation programs that are designed to bring us closer to Christ, closer to his Church, and closer to one another. Wherever you find yourself on the journey of faith, please know that you are invited to join us, to participate in our discussions, and to share your faith experiences. Our hope and prayer is that these programs will help us to live the Gospel, share God’s love, and rebuild the Church. All are invited! All are welcome! More event information coming soon! If you have questions or would like more information about adult faith formation in the Catholic Community of Gloucester & Rockport, please contact Cliff Garvey at cgarvey@ccgronline.com. Please join us! All are invited! All are welcome! The Catholic Community of Gloucester & Rockport offers a creative and innovative way for children to prepare for the Sacraments of Penance & Reconciliation (Confession) and First Holy Communion. Our program is designed to prepare both children and their parents for these sacraments; to encourage lifelong relationships with Jesus Christ and the Roman Catholic Church; and to help families grow together in prayer, fellowship, and service. Our program is simple and family-friendly! First, our top priority is to invite all families to attend one of our seven weekend Masses. Second, all second grade children and their parents, grandparents, or guardians are asked to attend two 90 minute workshops during the fall season and three 90 minute workshops during the winter-spring seasons. Each of these “Faith & Family Workshops” is offered at three different times so that each family can choose which option works best for them. Our program begins during the weekend of October 13th-October 14th! Calendars and registration materials are posted below. Registration forms can be returned by mail or hand-delivered to our parish offices (located at 74 Pleasant Street in Gloucester). If you have questionsor need assistance with youth faith formation in the Catholic Community of Gloucester & Rockport, please contact Betsy Works at bworks@ccgronline.com. Please join us! All are invited! All are welcome! For too many teenagers, the Sacrament of Confirmation has sadly become a kind of graduation from the Catholic Church, rather than the joyful beginning of life as an active adult disciple within the Church. We hope to end this tragic transition from enthusiasm to ambivalence by transforming sacramental preparation into an engaging process for the whole family. First, we will continue to place primary focus on attending Mass. For more than a century, the Church has required every parish to provide some kind of religious education for students who seek the Sacrament of Confirmation. During recent decades, we have asked parents to dedicate one hour each week to their child’s religious education by enrolling them in a youth faith formation program. Unfortunately, we failed to remind parents of their baptismal promise to be the first teachers of their children in all matters related to faith and morals; and that the most important component of that responsibility is attending Mass as a family. In our increasingly busy, stressful, and over-scheduled world, it has become common for parents to entrust their children to us for an hour of instruction each week but not join usfor Mass each weekend. So, we will continue to ask parents to dedicate one hour each week to their teenager’s faith formation — by bringing them to church! We will also no longer ask teenagers to spend countless hours in a classroom in preparation for the Sacrament of Confirmation. Beginning in the ninth grade, all high school students are invited to participate in our two-year program of formation that will prepare them to receive the Seven Gifts of the Holy Spirit at Confirmation. During the first year, our students will participate in a series of seven interactive workshops about the teachings and traditions of the Catholic Church. These sessions will be scheduled on Sunday mornings to coincide with our weekend Mass schedule. During the second year, our students will participate in nine additional workshops (including a four-hour mini-retreat) designed to help them grow in prayer, fellowship, and service; to prepare them to receive the Gifts of the Holy Spirit; and to jumpstart their lives as faithful and faith-filled young adult disciples. Registration forms and schedules for each year are posted below. For more information, please contact Betsy Works at bworks@ccgronline.com. Please join us! All are invited! All are welcome! The Catholic Community of Gloucester & Rockport’s Youth Choir & Music Ministry meets weekly for fellowship and rehearsal at 5:00pm in Saint Ann Church. Each weekend, the youth choir sings at one of our three churches: Saint Ann Church, Saint Joachim Church, or Our Lady of Good Voyage Church. The Youth Choir & Music Ministry welcomes new members, ranging in age from kindergarten through high school. Young musicians are also welcome to join us! Being a part of this ministry is a great way to make new friends. In addition, it is a great way to participate more fully in the life of our parishes and to learn more about the teachings and traditions of the Catholic Church! For more information, please contact Patty Natti at pnatti@comcast.net. Please join us! All are invited! All are welcome! Help Father Jim Serve God’s People! Father Jim is full of energy and excitement, but as the only full-time priest assigned to the Catholic Community of Gloucester & Rockport, he sometimes needs our help! He is still hoping to create a team of youth altar servers to help him at Mass. All young disciples, age 8 through 17, are invited to participate on a weekly or monthly basis. Parents and adult parishioners are welcome to serve, too! Training is available! Being an altar server is a great way to grow in discipleship and to learn about the teachings and traditions of the Catholic Church.! For more information, please see Father Jim before or after Mass; or contact him at frjim@ccgronline.com. All are invited! All are welcome! 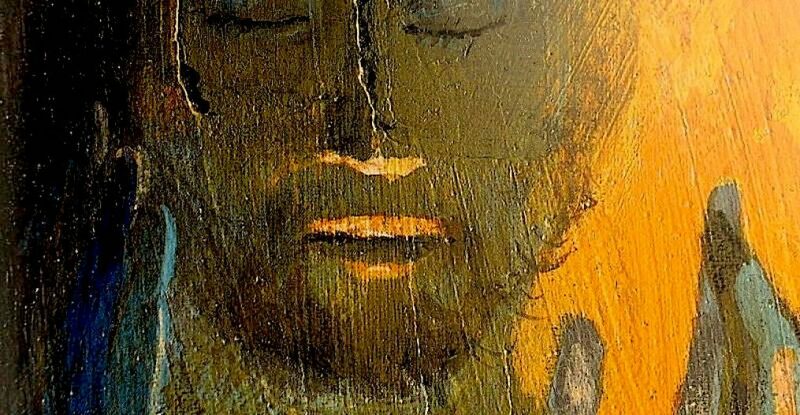 “The Way” was among the earliest names for the followers of the Risen Christ. Indeed, the Way appears as a scriptural reference to the earliest Christian communities in the Acts of the Apostles. In addition, both before and after his conversion, tradition holds that Saint Paul referred to the disciples of Christ as part of “The Way.” More than two thousand years later, Catholic Christians are still part of the Way of Jesus Christ. But as we all know, a life of discipleship is not a hobby or pastime. It is a vocation, a way of life that lays claim to our whole heart, mind, and strength. As disciples, our lives should be focused on and inspired by our faith in Jesus Christ, who is our merciful redeemer, friend, and brother. And as disciples, we are called to reach out to those who need our help in growing closer to Christ and the Church. If you are an adult (age 18 and over) and have not received all of the Sacraments of Initiation in the Roman Catholic Church (Baptism, Eucharist, and Confirmation), then please consider joining the Way, our adult faith formation program that will meet on Sunday mornings after our 8:15am Mass beginning on October 14th. Typically called the Rite of Christian Initiation for Adults, the Way is a seven month program that prepares adults to be received into the Roman Catholic Church at the Easter Vigil. As part of this same program, we will prepare adults for the Sacrament of Confirmation (to be received at either our local Easter Vigil Mass or at a regional archdiocesan celebration). Our group will meet twice each month for fellowship, formation, and faith sharing. As a community of disciples, we will learn together about the basic beliefs, teachings, and traditions of the Catholic Church. We will explore the methods of prayer that have brought generations of believers closer to Christ and his Church. And we will talk openly and honestly about the challenges of living an authentic life of faith, hope, and love in the modern world. If you would like to learn more about this journey of faith and become part of a unique fellowship in preparation for the sacraments of the Roman Catholic Church, then please contact Cliff Garvey at cgarvey@ccgronline.com. Please join us! All are invited! All are welcome! Please read our weekly newsletter or visit this page for the dates and times for these and other upcoming opportunities for adult faith formation. For more information about adult faith formation in the Catholic Community of Gloucester & Rockport, please contact Cliff Garvey, Associate Minister, at cgarvey@ccgronline.com. Please join us! All are welcome! Always!